Buffalo Riverworks' name is derived from the Buffalo River. The Buffalo River has three tributaries: Cayuga Creek, Buffalo Creek, and Cazenovia Creek. Buffalo Riverworks is a 5,000 person music events and sports complex located at the south part of downtown Buffalo. It can be accessed most easily by one of 2 ways. Travel south along Michigan Avenue to an elevator water bridge that extends over the Buffalo River. The second way is by boat off the Buffalo River. The Ohio Street bridge can get you there too. 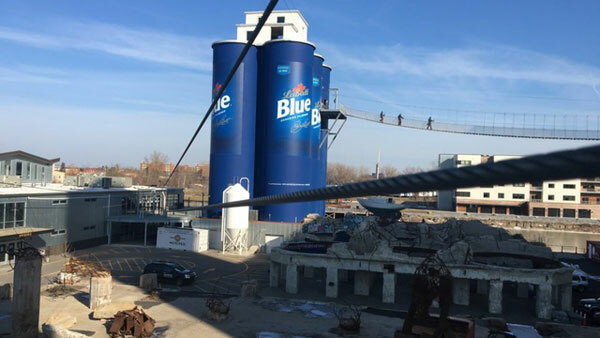 Riverworks Buffalo is hard to miss with its gigantic silos dressed as Labbatt Blue beers cans, what?. There are plans in the works to make one of the huge silos a live-working beer keg. When arriving by Boat to Buffalo Riverworks, boat docking is available to the general pubic. 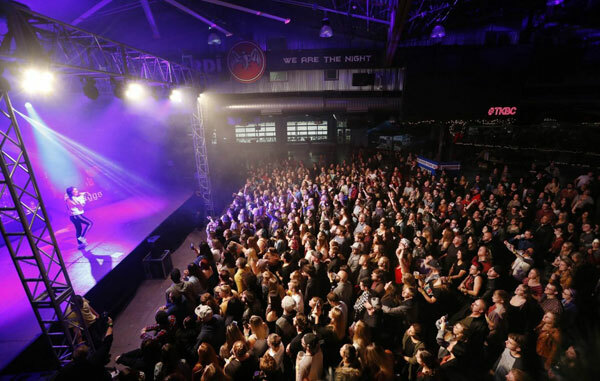 BuffaloRiverworks hosts weddings, music events, concerts and festivals. In addition, it hosts private business functions and public sports events. It has indoor/outdoor seating. 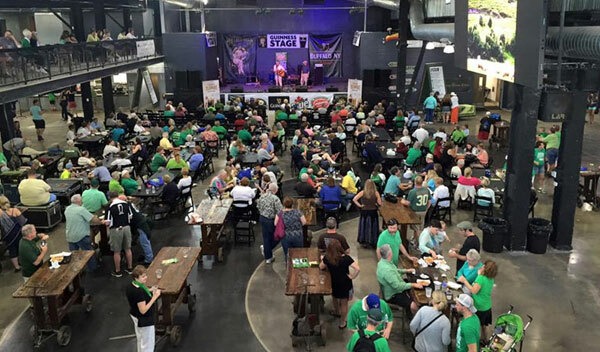 Riverworks Buffalo also has a roller derby rink, an ice rink, games, bars and food. 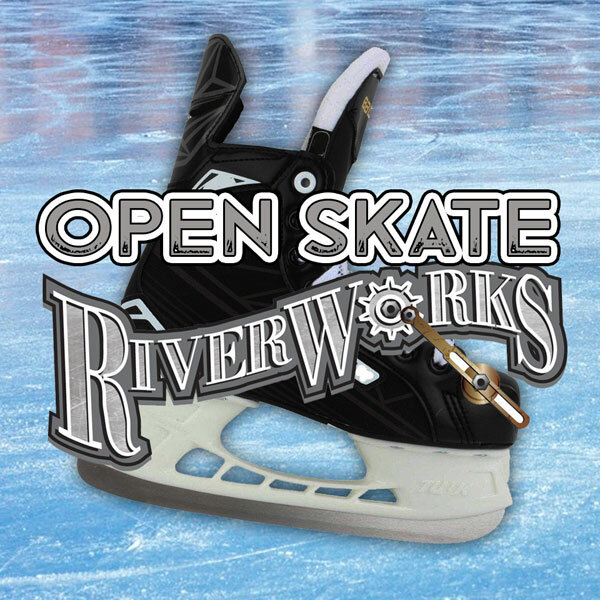 Open skate is available at certain times. Call ahead for more information. 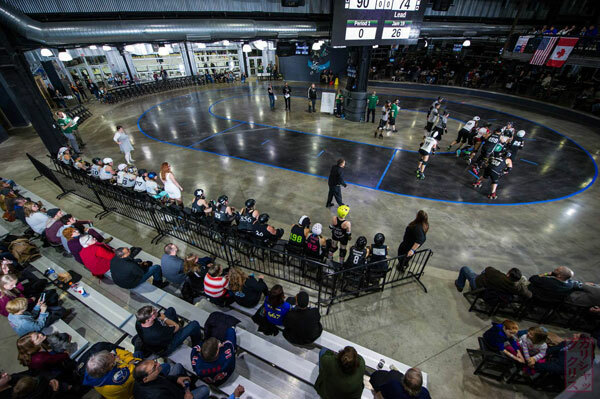 Buffalo Riverworks is home to the Queen City Roller Girls (QCRG). All home games are played here. The Queen City Roller Girls currently consist of five teams. Two of the teams are travel teams. The travel teams are the Lake Effect Fury and Subzero Sirens. The home teams are the Alley Kats, the Devil Dollies, and the Suicidal Saucies.Select players from the three home teams make up the two travel teams. In years past, the Michigan Street bridge that leads to Buffalo Riverworks had been obliterated and destroyed. Two rogue ships were swept down the Buffalo River from their docking ports by an unexpected ice jam breakage. This incident also flooded a significant area inside the shoreline. You'll notice some the buildings in the area are constructed so that their built up higher than normal. They were built this way in the aftermath of this historical incident. Docked the boat at Riverworks after a morning on the lake. Had a few brews and some buffalo chicken wings. It was a blast. Going to do it again soon once the weather breaks. Maybe stop by for the Music is Art Festival.